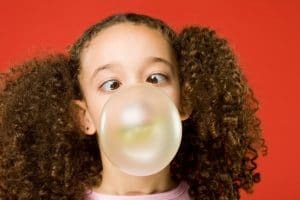 Dr. Jaclyn Scroggins and the Junction Orthodontics team want to dispel an urban legend about chewing gum: if you swallow a wad of gum, it does not sit in your stomach for seven years. In most cases, actually, not even seven days. Chewing gum, although not meant to be swallowed, passes harmlessly through the digestive system and is excreted in the same manner as everything else we eat.